Hyundai India has launched the much awaited Hyundai Elantra today. The car has been one of the most anticipated Hyundai car launches this year after the Hyundai i20 launch earlier. The car is seen as a major launch by the car maker ahead of Diwali and it is believed to bring much response in the Rs 12 lakh segment. Basically, the Elantra will be competing with Honda Civic, Toyota Corolla Altis and Chevrolet Cruze. The Hyundai Elantra price in India for the entry level petrol model is Rs 12.51 lakh while the diesel price starts from Rs 12.91 lakh. Both ex-showroom Delhi prices. At this price, the Elantra is expected to give a tough fight to its rivals and it is possible that it could sweep the market to its side as the price and brand backup is what will take the car to new heights in India. The Elantra that is launched in India is the Fluidic 2012 car while Korea has got the latest version of the car. 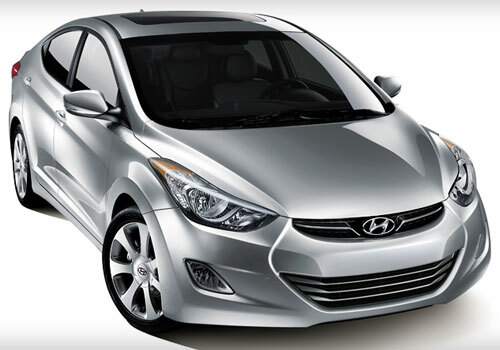 In its homeland the Elantra is known as Hyundai Avante. The Indian model is the 2012 Fluidic inspired and it is expected to have its new avatar sometime next year. The sedan has been one of the best sedans across globe and it has gathered much popularity and fame for the car maker. Now that the car is launched in India, it is expected to do much good even more than the Hyundai Verna. When Verna was launched, it became an instant hit and it left behind Honda City and Ford Fiesta. Now the Elantra is expected to do the same treatment to Honda Civic and Corolla Altis. This new Hyundai car is also expected to make the ground for a robust performance by the car maker ahead of Diwali. I am aware of what happened with the last version of the sedan in India few years ago because of which it had to be phased out from India. I am eagerly waiting for the Hyundai Elantra India price to be revealed as I am thinking extremely seriously to buy this car. Hyundai Elantra launched with advanced features..
Hyundai Elantra price is very impressive with its looks. Features are awesome. What are the safety features available in Hyundai Elantra? What is the mileage of Hyundai Elantra?